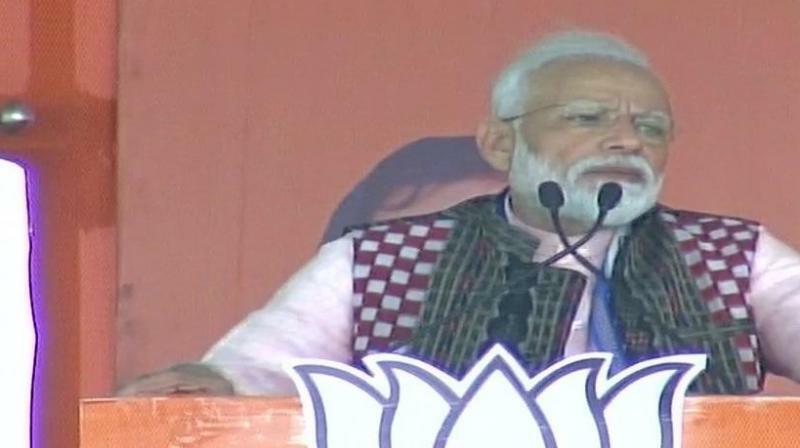 Korba: Prime Minister Narendra Modi Tuesday slammed Rahul Gandhi for calling "all Modis" thieves, adding such a language does not behove the Congress chief. "Will you allow the Congress to compromise on national security," Modi said. The PM exuded confidence that there will be 'Modi Sarkar' once again after Lok Sabha poll results on May 23. Attacking Congress and state-ruling government (BJD), Prime Minister Narendra Modi on Tuesday said the discrimination on the basis of caste and religion are their only achievement. “For 20 years you trusted Odisha's govt blindly but now the people of the state want change. Once we come to power in the state we will implement Ayushman Bharat Yojana,” he said. "This chowkidar (watchman) has taken concrete steps to ensure that the entire fund flowing from the Centre percolates to the people," he added.